The Takoma Park Recreation Department provides extraordinary camp experiences at an exceptional value! Summer, winter and spring, we have a safe structured place for your child while school is on break. In addition to our traditional summer day camps, Camp Takoma and Camp Recess, we offer a myriad of special interest camps such as basketball, dance, wilderness camp, theater and arts camps and many more. With so much to choose from from tots to teens, we’re confident you’ll find the camp that fits your needs and interests. 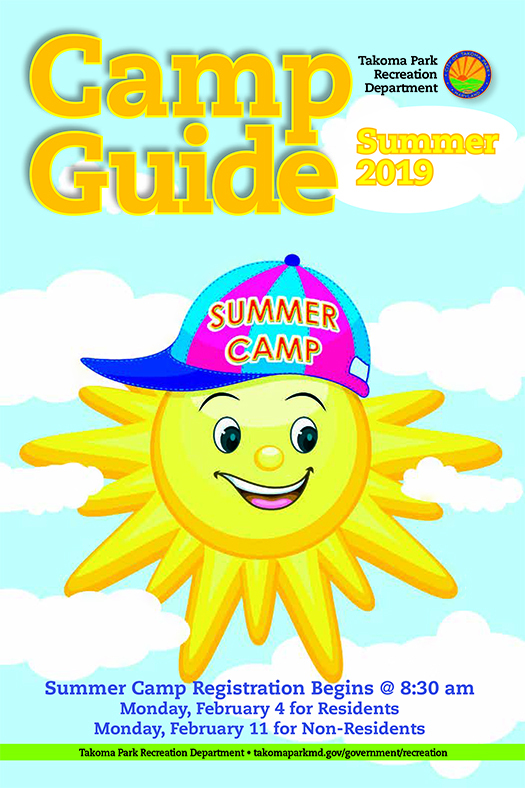 Find the perfect camp in our current City Guide or register online via ActiveNet. Check below for info on featured camps! The early bird catches the worm! 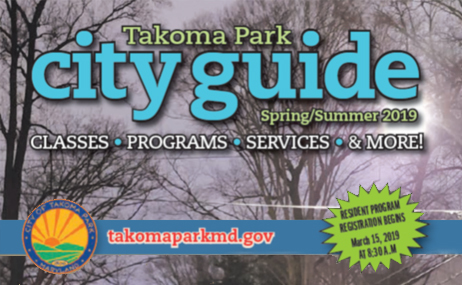 Takoma Park residents can save 15% on summer camps and before care and after care by registering Monday, February 4 – Sunday, February 10. Residents and non-residents can save 10% by registering Monday, February 11 – Sunday February 17. The Early Bird Discount is available both online and in person. This will be the one time this year to save so don’ t miss out! For your convenience, you may choose to pay in full at the time of registration or select the payment plan option. This payment plan option, which must be chosen at the time of registration, divides the total amount due into two equal payments: 50% of the total fees will be due at the time of registration, with the remaining payments due on June 1. $25 late fee if payment is received more than five days after the due date of June 1. Outstanding balances as of June 6 could result in the child being withdrawn from the program. We still have a few spaces left in some great camps! For the most up to date information, please visit ActiveNet. Its cold outside and there is lots of holiday hustle and bustle, but we have a great week-long camp for ages 5-12. Escape the cold outside and join the fun inside! Space is limited and registration opened in August. Its getting warmer, school is out and fun is in! Participants will enjoy indoor and outdoor sports, games, crafts, and more. Dribble, Pass and Shoot Basketball Camp is still open for ages 5-12 and a Career Week for teens. Registration is open now. Don’t miss out! We are always excited to bring you a fun filled summer, packed with lots of memories! Our camps continue to fill earlier and earlier so if you love our camps as much as we do, don’t wait. Registration opened in early February and many camp filled that same day! If the camp you were interested in is already full we encourage you to wait list. 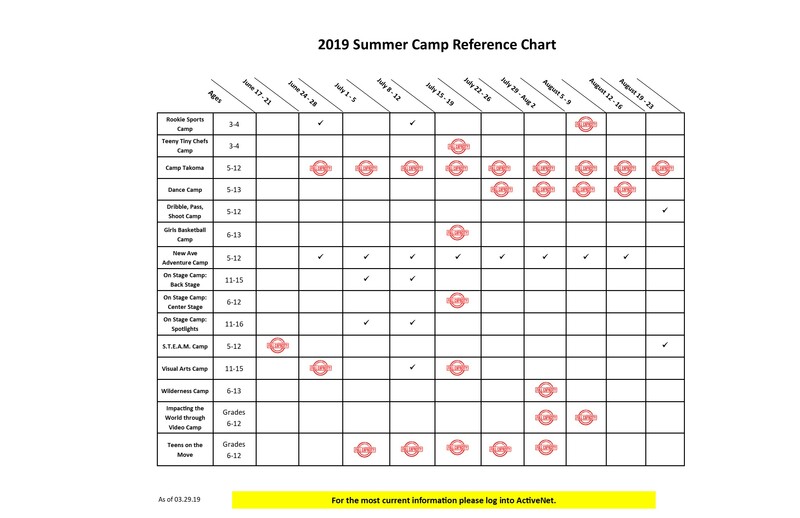 No matter the season, all campers are required to complete a Participant Profile Form prior to the start of camp. If it is necessary for a participant to take over-the-counter or prescribed mediation during program hours, his/her Authorization for Medication Form must be completed in full by the physician and signed by the parent or guardian. Don’t Wait – Registration Opened Monday, Feb. 4th. You can register for camps, classes and request rentals on via Takoma Park's through ActiveNet. 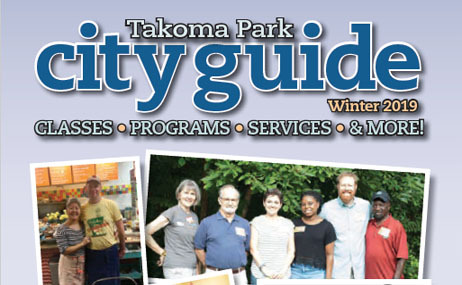 The 2019 Winter City Guide is here!